The Lamborn Family first began working the soils of Howell Mountain in mid-1969, but not until 1979 were the first new vines planted on the property. Zinfandel wine has been under continuous production since 1982, and Cabernet since 2003. The Estate Vineyards are located near the top of Howell Mountain at 2200 feet, and total just under 8 acres. Annual case production averages less than 1500, with winemaking by Heidi Barrett since 1997. The Lamborn's are proud to have their Howell Mountain wines presented along with several attractive brands at Ma(i)sonry in Yountville. Located at 6711 Washington Street, Ma(i)sonry is open 7 days a week, and appointments are suggested by calling 707-944-0889. To join the wine club, visit www.lamborn.com or call 707-967-8231. 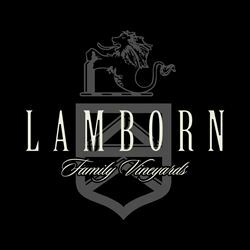 Lamborn Family Vineyards maintains a Direct Winery Club program for each Zinfandel & Cabernet Sauvignon. Details available upon request.